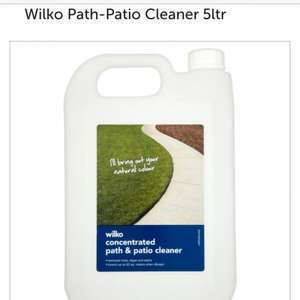 Bring out the natural colour of your paths and drives with our fantastic path and patio cleaner, which cleans up to 75 square metres. The cleaner has a non-acid formula that cleans brick, tarmac, asphalt, block paving, concrete and stone. Powerful cleaning non-acid fluid for exterior hard surface. Always read label. Contains <5% cationic surficant, <5% sodium Tripolyphosphate, sodium Metasilicate, NTA. Warning: Irritant. Keep out of reach of children.